If you think the discoveries made by planet hunters is exciting already, just you wait. There are some missions in the works that are going multiply the number of planets discovered, and zoom in on the holy grail of finding habitable planets around other stars. The next planet hunter being readied for launch is NASA’s Kepler Mission. This week engineers conducted a series of tests on its image detectors – will it really be able to see planets? Scheduled for launch in 2009, Kepler will detect planets using the transit method. This is where a planet passes in front of its parent star, briefly dimming the amount of light we see here on Earth. This has been done to detect Jupiter-scale planets, but nothing Earth-sized… yet. 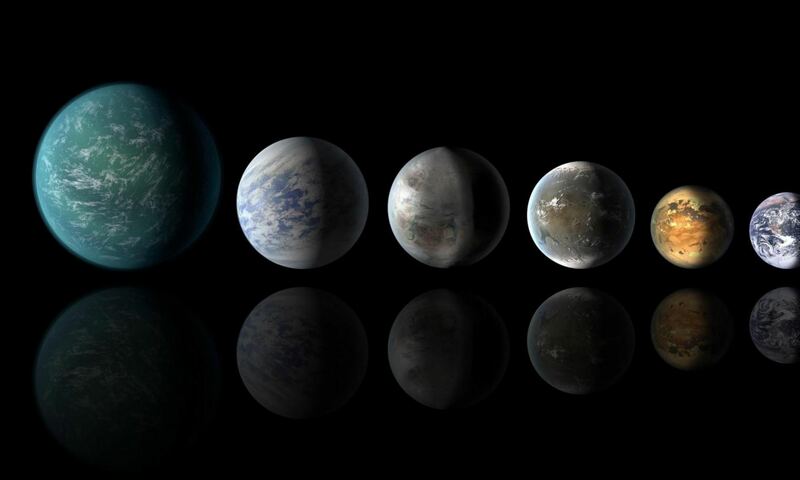 Kepler will have sensitive enough instruments to be able to detect those slight variations in brightness, and determine just how many stars have planets in their habitable zones. At the Ames Research Center, researchers have developed a Kepler Technology Demonstration test bed. This generates a field of stars that matches the part of the sky where mission scientists are planning to search for transits. The testing engineers can then modify the brightness of the artificial stars to mimic how transiting planets would look as they passed in front of stars. “This is a major milestone for the Kepler mission,” said David Koch, deputy principal investigator for the Kepler Mission. “We will use hardware identical to what we will be flying on Kepler in the test bed at Ames. We will have the ability to create transits of a star so that we can see the change in the starâ€™s brightness. By simulating transits, we will be able to demonstrate that the flight hardware will work,” Koch explained. In the final mission, Kepler will be equipped with 42 CCD cameras attached to the spacecraft’s telescope. They make up a 30-cm square (1-foot) array; the largest that will have been flown in space to date. The spacecraft will be able to scan a region of the sky 30,000 times larger than Hubble is able to search. This month’s test at AMES will have only a single CCD detector, measuring 2.5 cm by 5 cm (1-inch by 2-inches). I’ll give you an update once the tests are run. Those habitable planets can’t hide forever. I wonder what the CCDs resolution will be in pixels. To Mystic S. Very good question. I wonder how the Kepler engineers will deal with the possibility of sun-spot based false positives. MOST Spacebased Photometry of the Transiting Exoplanet System HD 189733: Precise Timing Measurements for Transits Across an Active Star”. MOST has been examining this problem for a few years.